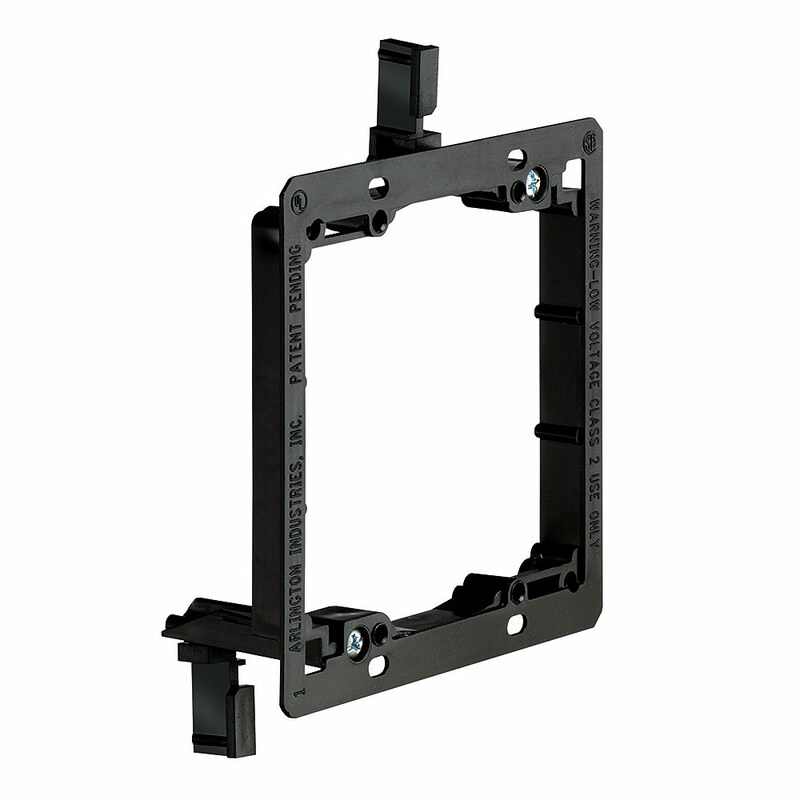 Arlington Industries LV2 Low Voltage Mounting Bracket features shallow mounting depth which allows for more wires to be run in the wall cavities. 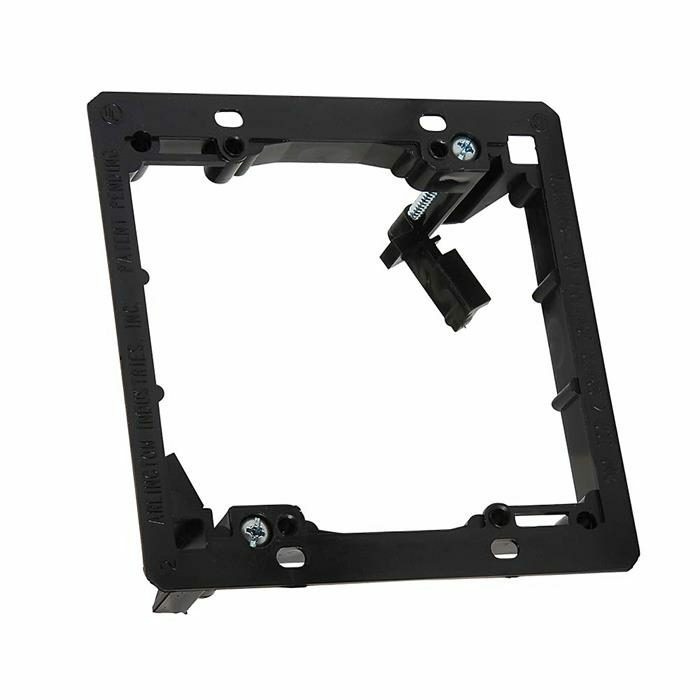 The shallow mounting depth also works better with reversible wall plates since the box itself is not obstructing the wire passage. Arlington Industries has also designed their retrofit brackets to have a thinner external flange so wall plates sit flatter against the wall. Mounts to Panels, Sheetrock Etc. Recessed, oval-shaped screw holes allow for final shifting and straightening of the device when installed. It even doubles as its own cut-out template! 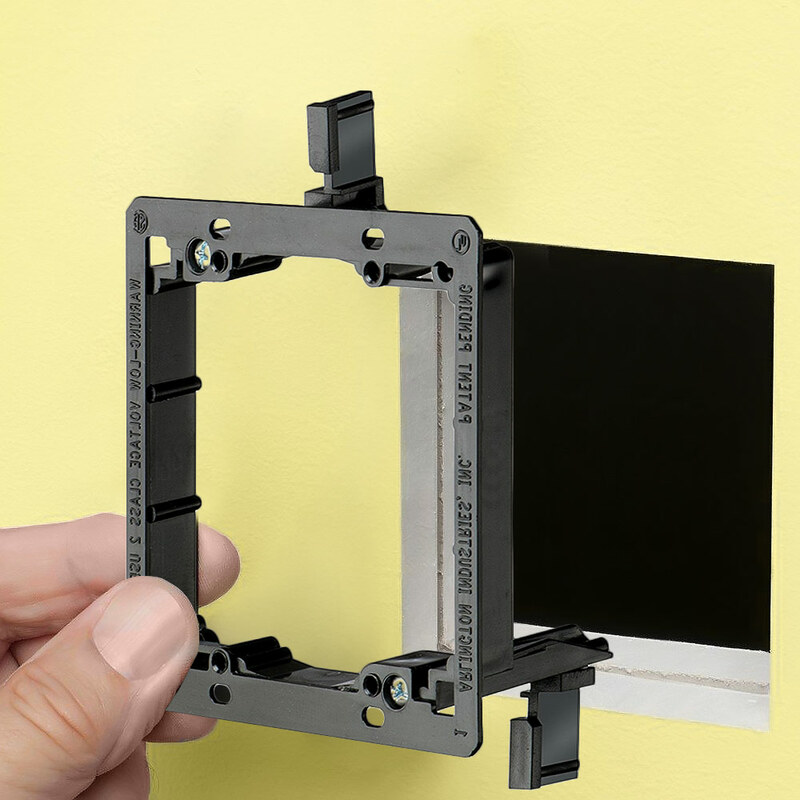 All in all, this bracket installs in less time than steel or plastic mud rings – and costs less, too. Install either vertically or horizontally based on the needs of the old-work application. The UL listed LV2 adjusts to fit 1/4” to 1” thick wallboard, paneling, or drywall and holds snug when installing via wings on both top and bottom of the bracket. These specially designed wings flip up for a secure mount when mounting screws (not included) are tightened. The thin lip of the face sits in low profile to the wall for a nearly seamless finish. Also available in 1-Gang, 3-Gang, and 4-Gang models.